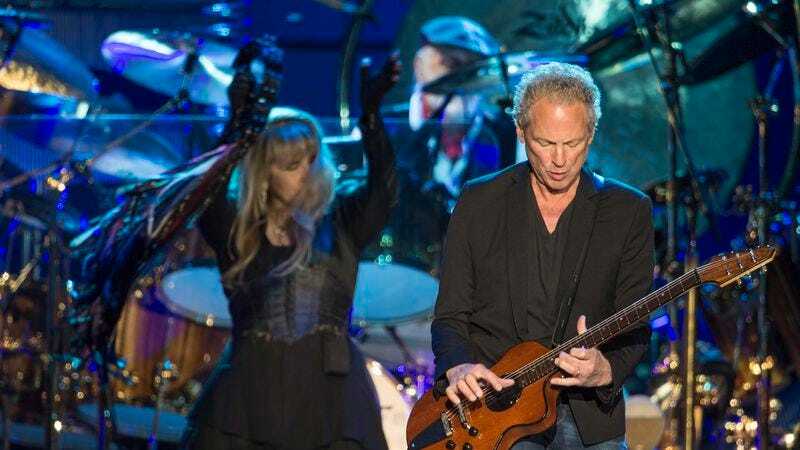 Billboard reports that two mainstays of ’70s rock are teaming up to lure in modern-day Rumors and “Take It Easy” fans: Fleetwood Mac and The Eagles have announced a pair of festivals, Classic West and Classic East, on either coast this July. The two bands will headline both events, scheduled to take place in New York and L.A., with an eye toward turning them into annual shows. The rest of the bill for this year’s festivals have yet to be announced, although you can probably make some educated guesses by tuning your radio to whichever local station most frequently plays “Hotel California,” and letting its selections be your guide. Stevie Nicks and Don Henley aren’t the first classic rockers in recent years to power a festival with a heady cocktail of nostalgia and classic musicianship; back in 2016, Bob Dylan, the Rolling Stones, Paul McCartney, Pete Townshend, and Roger Waters all came together for the Desert Trip Festival, put together by Goldenvoice, the company that also organizes Coachella.